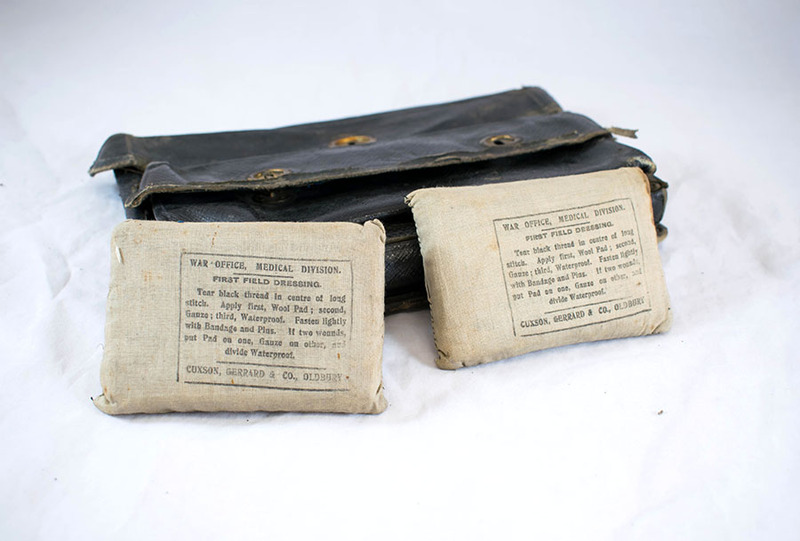 Two first field dressings, c 1900-c 1905. "Tear black thread in centre of long stitch. Apply first, Wool Pad; second, Gauze; third, Waterproof. Fasten lightly with Bandage and Pins. 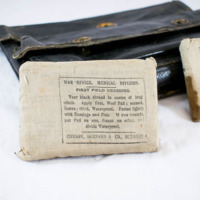 If two wounds, put Pad on one, Gauze on other, and divide Waterproof." 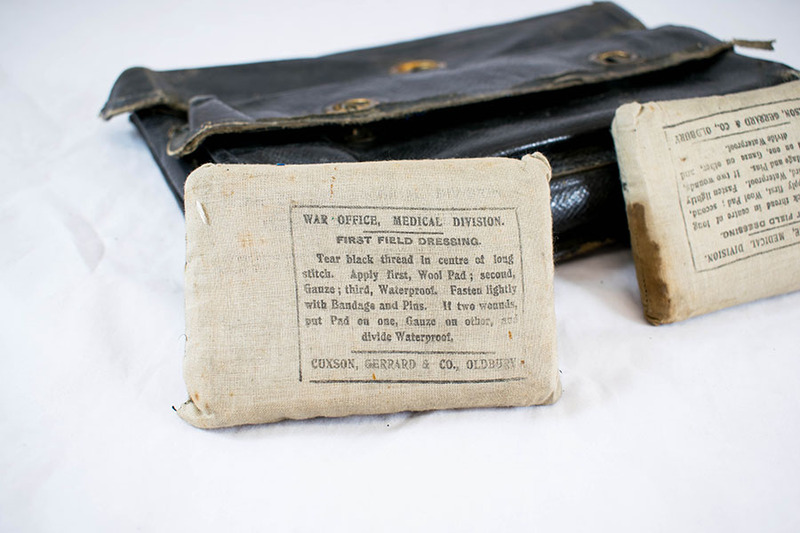 Cuxson, Gerrard & Co.; 1878-; Medical and podiatric product manufacturer, “War Office First Field Dressing,” Heritage, accessed April 23, 2019, https://heritage.rcpsg.ac.uk/items/show/176. 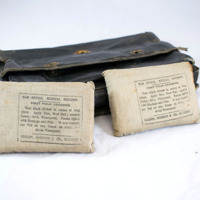 Description: Two first field dressings, c 1900-c 1905. The instructions read as follows: "Tear black thread in centre of long stitch. 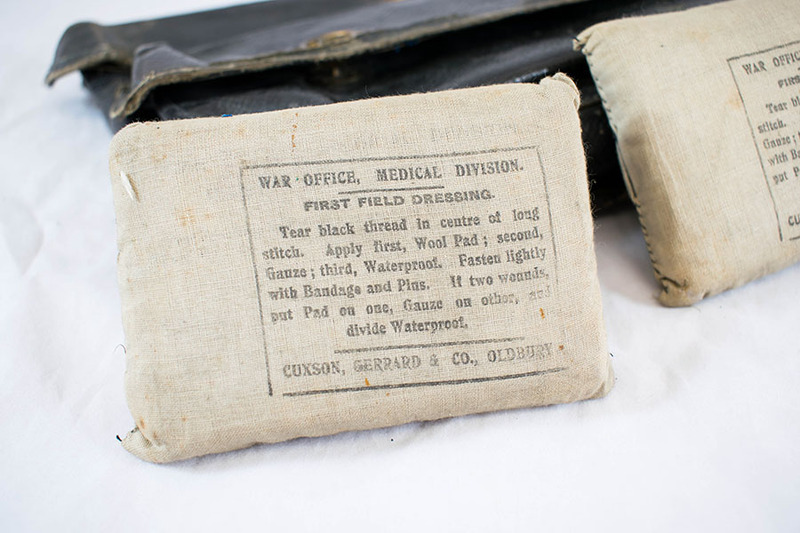 Apply first, Wool Pad; second, Gauze; third, Waterproof. Fasten lightly with Bandage and Pins. 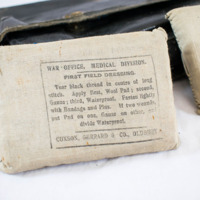 If two wounds, put Pad on one, Gauze on other, and divide Waterproof."